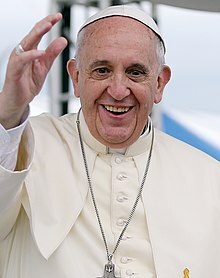 The Tampa Tribune is reporting that Pope Francis has reformed the process by which many Catholics receive annulments from the church. The reforms take a process that oftentimes took well over and year and, in many cases, shortens that length down to 45 days. One of the reforms does a way for the need of an exhaustive investigation when both spouses request the annulment (or neither actively opposes it). Polygamy—or more specifically polygyny, the marriage of one man to more than one woman—has been widespread in human history. And it is becoming increasingly common, particularly in Muslim enclaves—including in Paris, London and New York. A 2006 report by the National Consultative Commission on Human Rights reported that approximately 180,000 people were living in polygamous households in France. For decades, France allowed entrance to polygamous immigrants from about 50 countries where the practice was legal. When the French government banned polygamy in 1993, it tried to support the decohabitation of such couples if a wife wanted to move into her own apartment with her children. In Britain, where immigration laws have banned the practice for longer, there appear to be about a thousand valid polygamous marriages, mostly among immigrants who married elsewhere, such as in Pakistan. Such families are allowed to collect social security benefits for each wife, although the government has apparently not counted how many are doing so. In the United States, where numbers are more difficult to come by, anecdotal reports indicate underground communities of polygamists in New York City, particularly among immigrant communities from West Africa. In Florida, one person cannot legally marry someone who is currently married to someone else. Further, Florida does not recognize polygamist “marriages” that occur outside of the state or country. So, does a person who has been in such a relationship, either knowingly or unwittingly (i.e., one party did not know that the other party was already married), have legal protections?